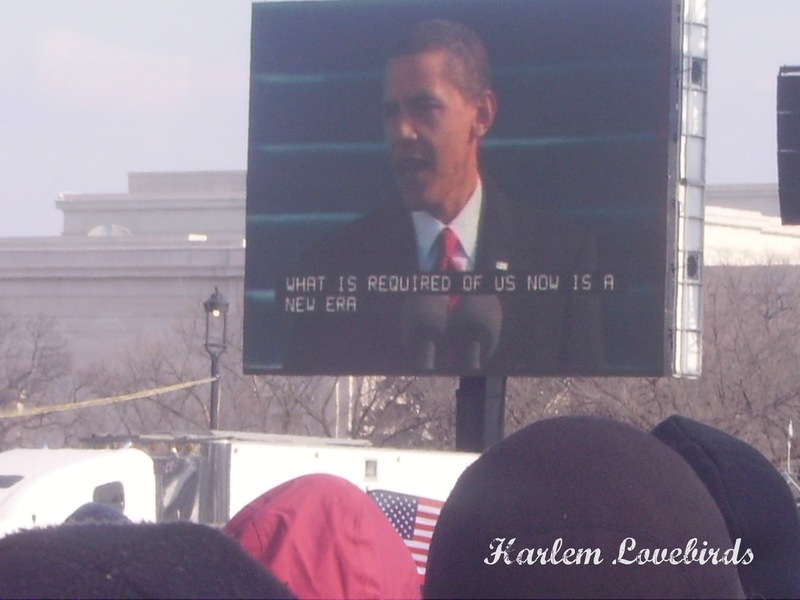 Today I felt compelled to revisit my photos from the 2009 inauguration of President Obama. I am truly thankful to have been alive to experience his presidency and I will never take it for granted. 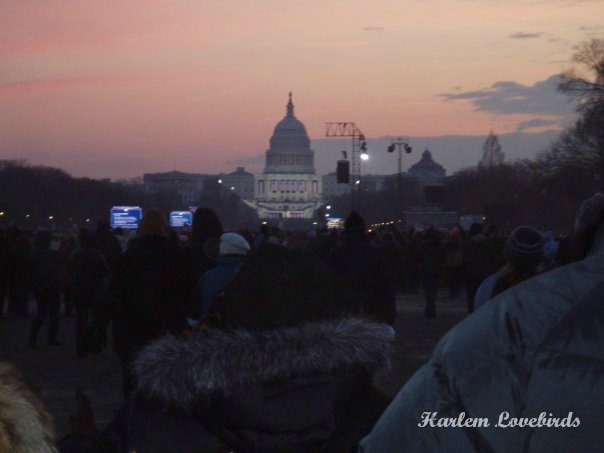 January 19, 2009 was Martin Luther King, Jr. day and leading up to the inauguration I recall eyeing the weather forecast. I didn't have concerns for safety but more of a concern for staying warm and navigating the expected crowds. I drove down with a co-worker and met my Wellesley friend, Melissa, who arrived from Boston. 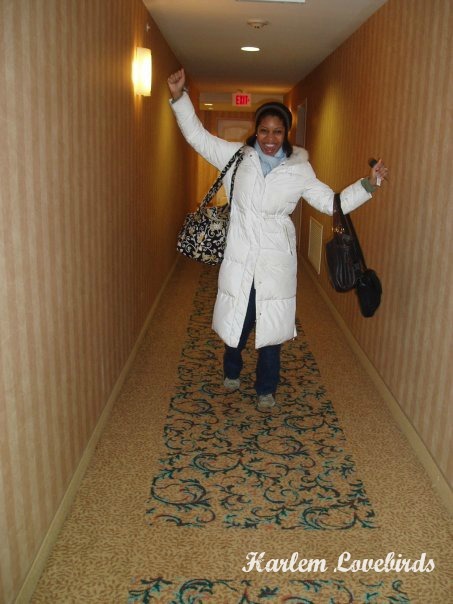 We could immediately feel the energy of the city and at our hotel especially. I was fired up and ready go, totally unbothered by a 3a.m. wake-up call! We were up before sunrise, parking at a suburban train station to make our way to the National Mall. It was immediately clear how packed it was. I admit I got a bit claustrophobic, but there were plenty of helpers around to make getting on the train peaceful and orderly. I remember being excited for my commemorative train ticket (I still have it tucked away). 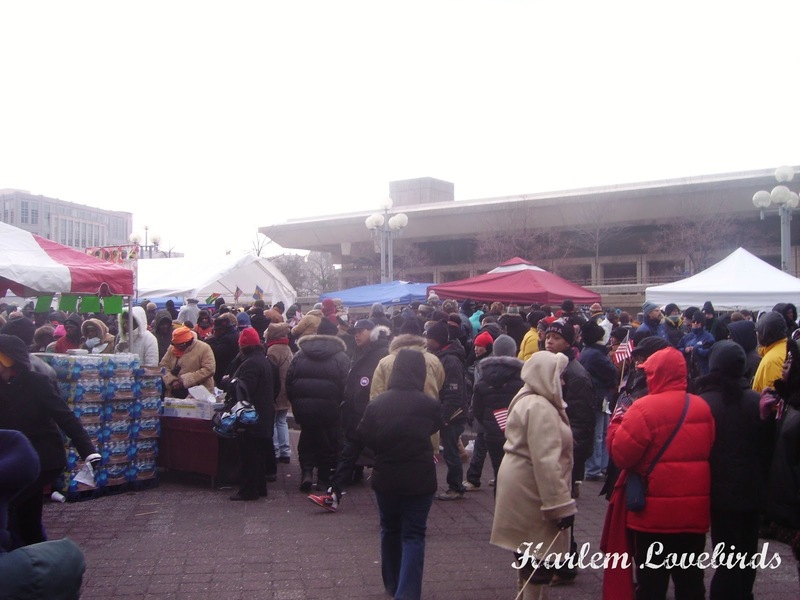 As the sun rose and I looked around I was in awe of the breadth of diversity in ages and ethnicities surrounding me. I remember thinking, "This is what heaven will look like." There was an aura of joyfulness yet it was peaceful and honorable. 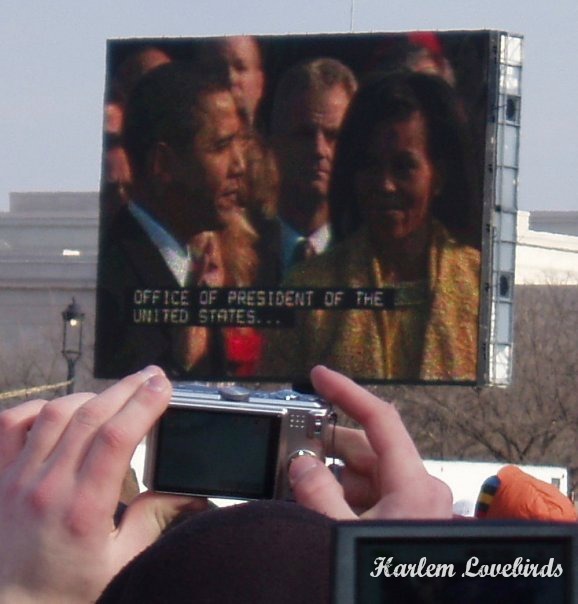 However, I couldn't help but feel like there was still a chance for something to go horribly wrong against President Obama and as he and his family made there way to the stage I watched the jumbo-tron like a hawk. My mind switched to my family, especially my grandmothers who were back in Ohio. 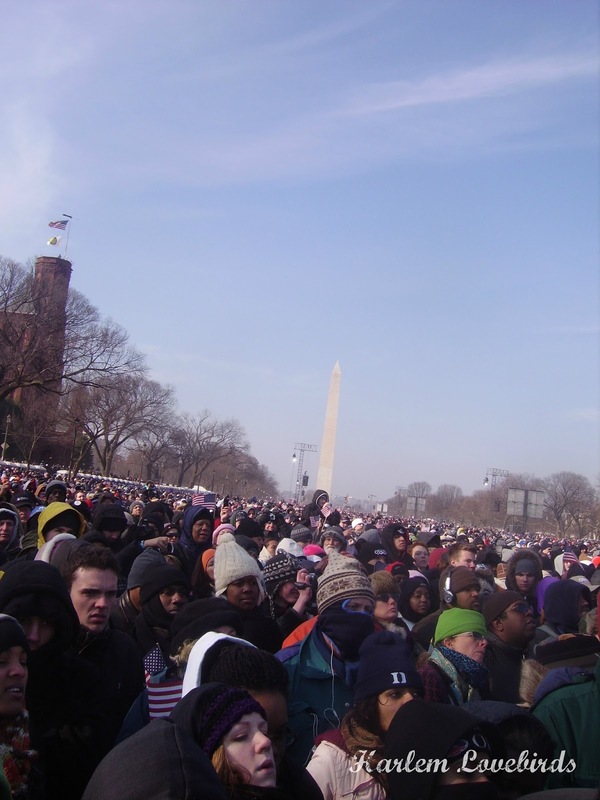 I believe I represented them at inauguration - it was my duty to witness it with my own eyes and be there to be a part of history. I didn't get teary, but instead felt overwhelming jubilation and pride as President Obama was sworn in. 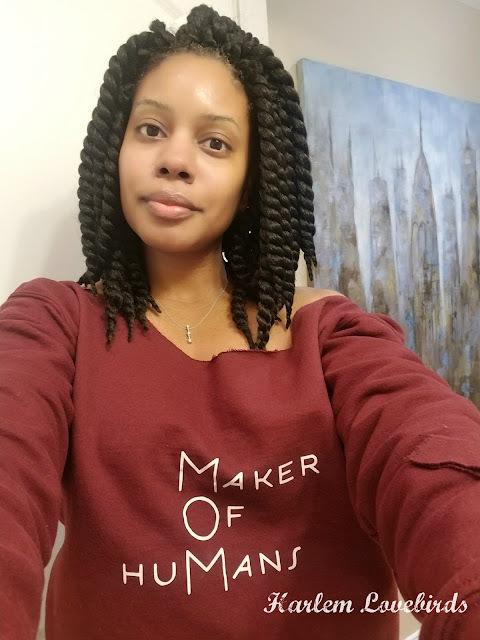 I thought of my upcoming wedding later that year and the thought that the children I hoped to have at the time would be born under the 1st president of African descent. As inauguration finished, my friend Melissa and I decided to wait out the crowds - or so we thought! We were so hungry and I'm sure dehydrated as we didn't drink much water since the crowds were dense and a journey to the port-a-potties would mean not being able to return to your previous spot. Thankfully we sat it out and warmed up at a nearby hotel lobby and by the time we deemed it OK to venture to the train it was still very jammed pack. 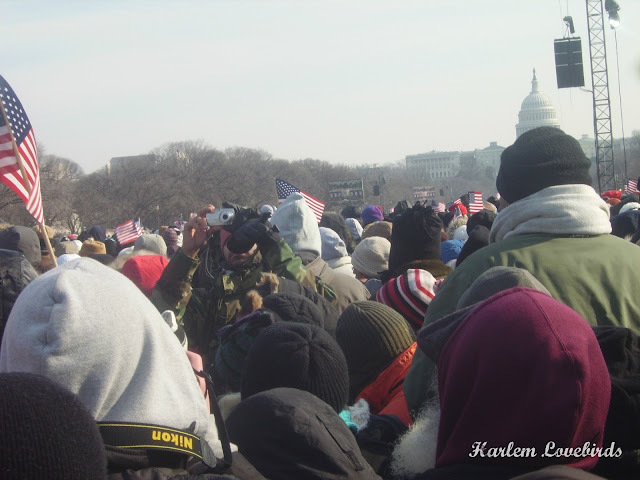 That was the 1st time I felt very nervous on inauguration day. 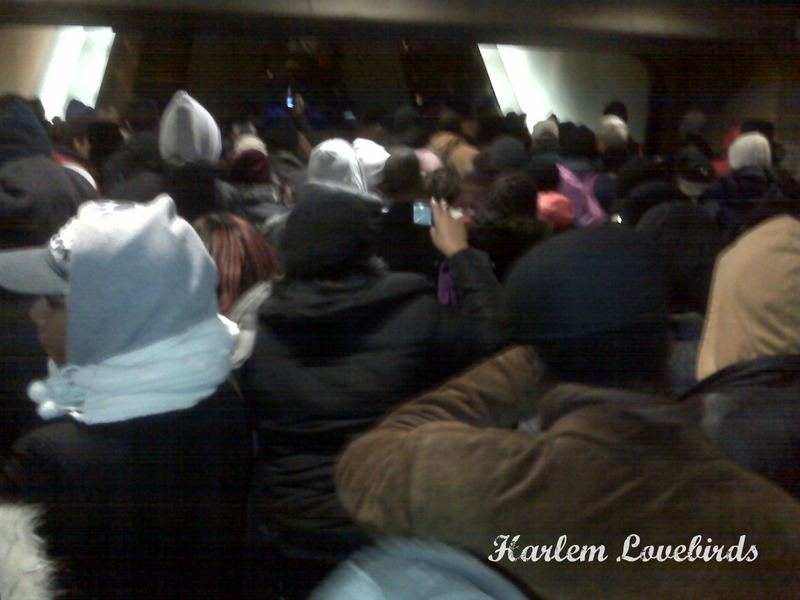 I remember thinking how scary it would be if there was an incident or medical emergency and a stampede happened. Quickly, I said a prayer and we continued on making it back to the rental car hours after inauguration. 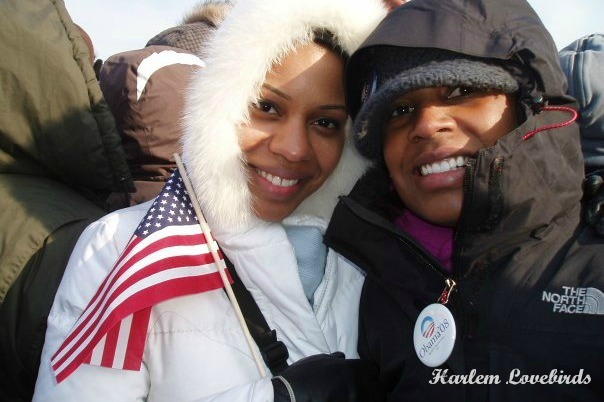 President Obama's inauguration really did set the tone for my marriage and my family. I saw it as a turning point for my personal life and also for our nation. My family went through a lot during these past 8 years and we are immensely better than where we started. We went through cycles of various employment stages, being uninsured, dealing with 18 months of housing court to now owning a home back in Boston where our relationship first began. This gives me hope that we can do the hard work as citizens to continue the legacy of President Obama. This definitely isn't a time to put our heads in the sand and just think about "my 4 and no more." It's not about politics - it's about being humane. Follow me on Twitter, Facebook, and Instagram as I march tomorrow in Boston. P.S. 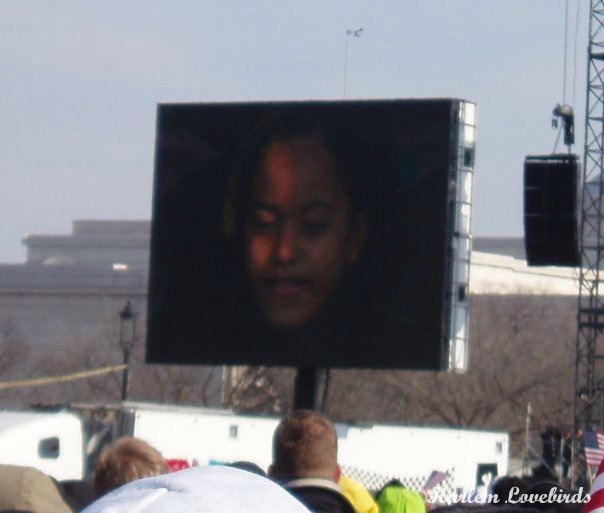 Remember Nia's tribute to President Obama?